The Muslim Brotherhood’s Deputy Supreme Guide, Khairat El-Shater, was arrested late Friday along with his brother in Cairo’s Nasr City district. He is being held on charges of inciting violence. 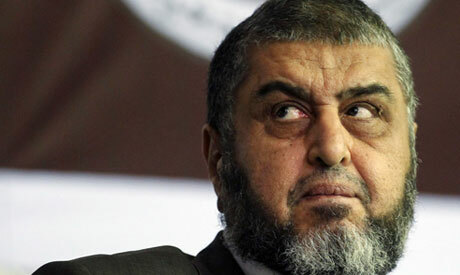 Shater, a wealthy businessman and a former presidential candidate who was initially disqualified from last year’s presidential elections due to his questionable legal status, was seen by many Egyptians as the shadow power behind Morsi's throne. A day earlier, El-Shater was slapped a travel ban along with many other leading Brotherhood figures, most of whom have also been arrested. Earlier on Friday, leading Brotherhood figures Saad El-Katatni and Rashad Bayoumi were released from Tora prison pending investigations, one day after being arrested.